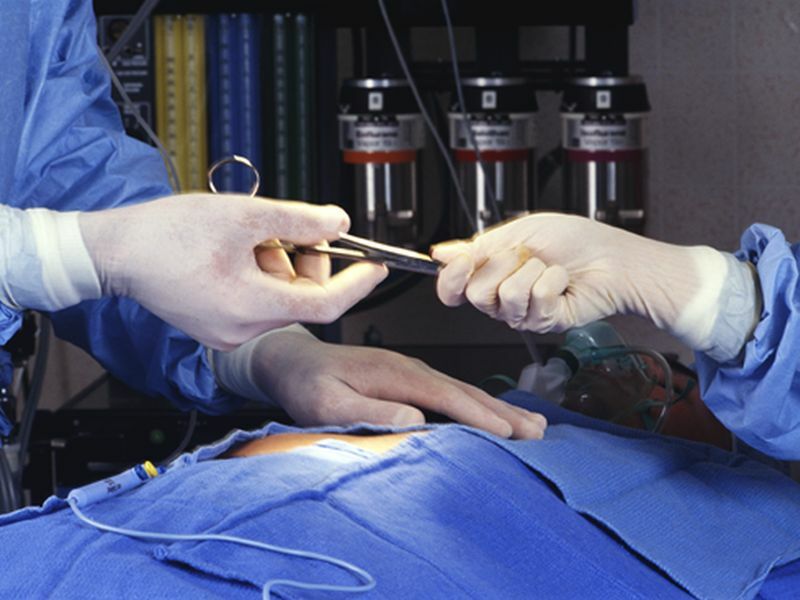 THURSDAY, Oct. 15, 2015 (HealthDay News) -- More people will die from common surgical procedures and cancer treatments if dangerous bacteria continue to develop resistance to widely used antibiotics, a new study warns. Patients rely on antibiotics to protect them from potentially deadly infections after undergoing chemotherapy, pacemaker implantation, cesarean sections or countless other medical procedures, said study senior author Ramanan Laxminarayan. He is director of the Center for Disease Dynamics, Economics & Policy, a public health research organization in Washington, D.C. The new study, published Oct. 15 in The Lancet, estimates that as many as half of infections after surgery and more than a quarter of infections after chemotherapy are caused by organisms already resistant to standard antibiotics. If antibiotic resistance increases by just 30 percent in the United States, the tougher-to-treat bacteria could cause 6,300 more deaths a year and 120,000 more infections in patients undergoing either chemotherapy for cancer or 10 common surgical procedures, the researchers projected. "Anytime you're going to need a surgery or a transplant, you're going to need effective antibiotics. It's something that affects all of us," Laxminarayan said. Concern over antibiotic-resistant bacteria is growing. Earlier this year, the Obama administration released a national action plan to combat antibiotic resistance. Also, the "superbug" MRSA was in the headlines this week after causing a serious infection in the ankle of New York Giants tight end Daniel Fells, prompting speculation the NFL player might need a foot amputation. The U.S. Centers for Disease Control and Prevention estimates that at least 2 million people a year become infected by antibiotic-resistant bacteria, and at least 23,000 die from these infections. But most of these worries focus on the ability to treat existing bacterial infections, and ignore the widespread use of antibiotics to prevent infections after surgery or chemotherapy, said Dr. Joshua Wolf, an assistant member of the infectious diseases department at St. Jude Children's Research Hospital in Memphis. "We know that kids with cancer have extremely high risk of bacterial infection that can be life-threatening. If resistance rates rise, those antibiotics will become less effective," said Wolf, who wrote an accompanying editorial in the journal. "Surgery will become less safe, and cancer treatment will become more difficult." To estimate the hazard posed to modern medicine by antibiotic resistance, the researchers reviewed hundreds of clinical trials between 1968 and 2011 that examined the effectiveness of antibiotics in preventing infection after chemotherapy or 10 common surgical procedures. Those procedures included hip fracture surgery, pacemaker implantation, surgical abortion, spinal surgery, hip replacement, C-section delivery, prostate biopsy, appendectomy, hysterectomy and colon surgery. Based on their review, the researchers estimate that between 39 percent and 51 percent of surgical site infections and 27 percent of post-chemotherapy infections are caused by bacteria already somewhat resistant to antibiotics. Using a computer model, the study authors were able to show that with a 10 percent increase in antibiotic resistance, there would be at least 2,100 more infection-related deaths a year and 40,000 more infections following surgery or chemo. A 70 percent increase in resistance would lead to an additional 15,000 deaths annually and 280,000 infections, they said. "It's a large enough number that it should be of concern," Laxminarayan said. He added that the number would be even higher if the estimate included all procedures that require antibiotics, which range from simple root canals to organ transplants. "Antibiotics are the one medication that everyone will get at some point in their life," Laxminarayan said. The development of new antibiotics will not help if effective antibiotic controls are not in place, Wolf said. "Our experience has been that when we introduce a new antibiotic, we see resistance develop fairly quickly," he said. Doctors and hospitals can help by limiting use of antibiotics to cases that truly need them, said Dr. Henry Chambers, chief of infectious diseases at San Francisco General Hospital. Also, Chambers would like to see tough mandatory controls put in place. Currently, he said, "in hospitals, pretty much anybody can order an antibiotic." Consumers can play a role, too, Wolf added. "They can say no to antibiotics for coughs and colds. They can ask for an antibiotic alternative, if it's available. And they can ask for meat that's antibiotic-free," Wolf said.